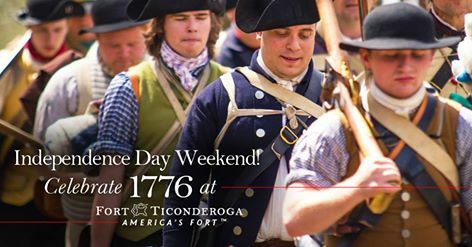 Experience the American fight for liberty at Fort Ticonderoga's three day Independence weekend celebration! 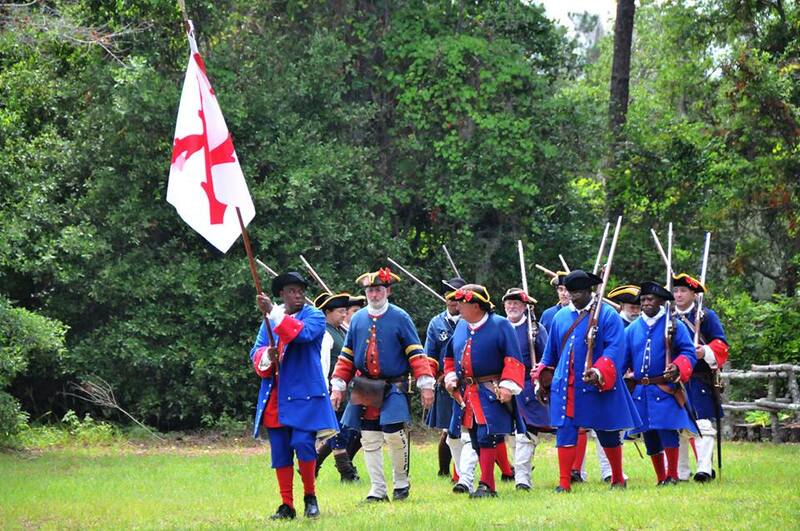 Save 10% on your admission and witness historical demonstrations and patriotic performances! If your last visit to Old Fort Niagara was in 4th grade, it's time to return! 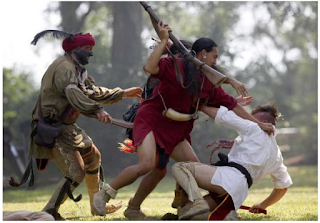 Come to the French & Indian War Encampment this Friday through Sunday, July 3-5! 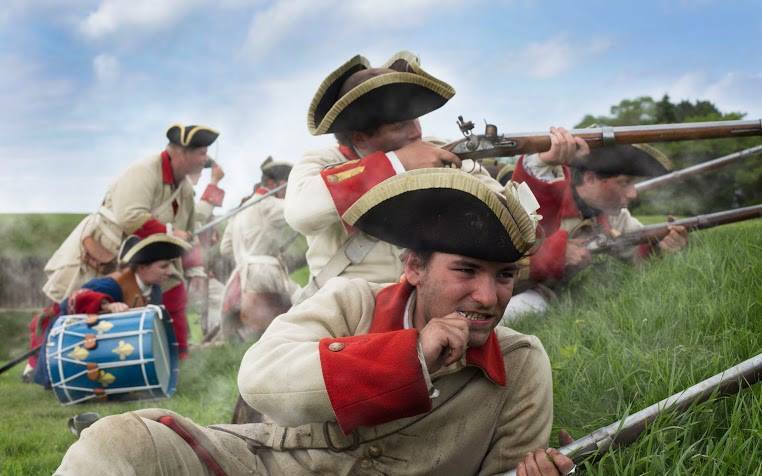 Visit French and British living history camps, listen to period music, watch lacrosse and cricket games, invite your children to "enlist" to defend the increasingly threatened French fort. 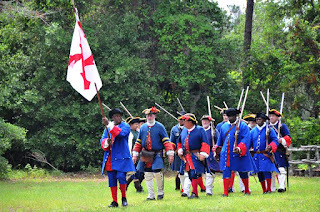 We are your history headquarters! Fort Ticonderoga added 2 new photos. 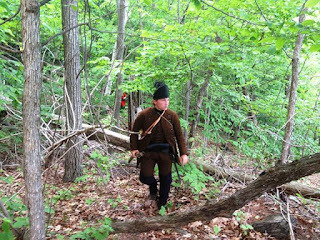 The Army untill the 4th of July was daily reinforc'd by provincials, and employ'd that time (after being form'd into Brigades) in finishing the two Stockaded Forts, and in Exercising a new Method of fighting, forming, and marching, in the Woods. 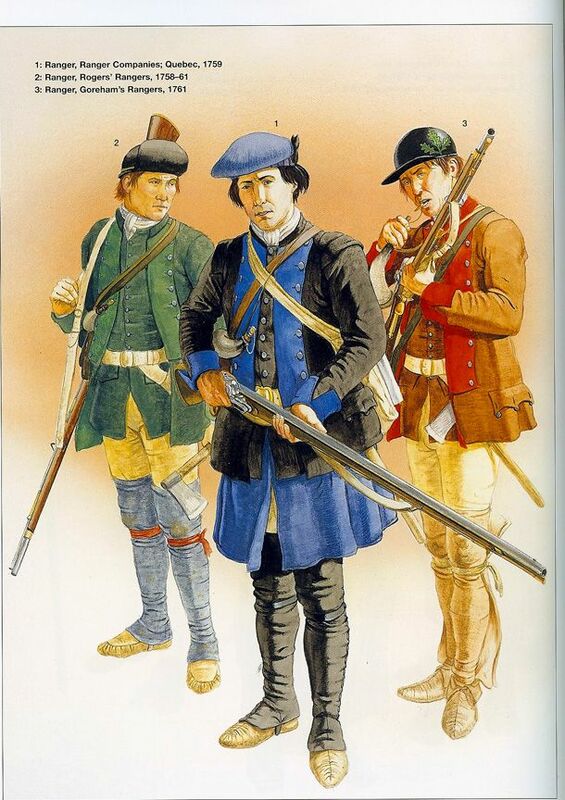 I started a French and Indian group in the mid-late 90s. 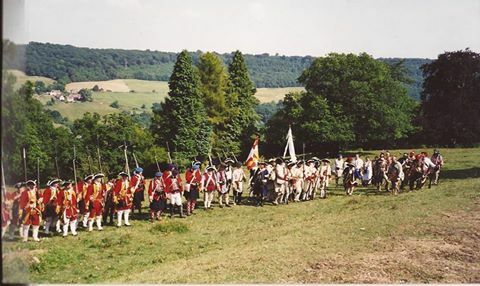 Here's a pic of one of those post battle line ups. Well it seems to have been a success - well done to those who took part. 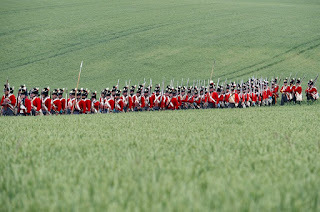 I feel a little jealous as I used to be a Napoleonic reenactor - but I am too old now - events like Waterloo are physically demanding - I only did one Waterloo in 1990 and my feet still are sore from all that marching. 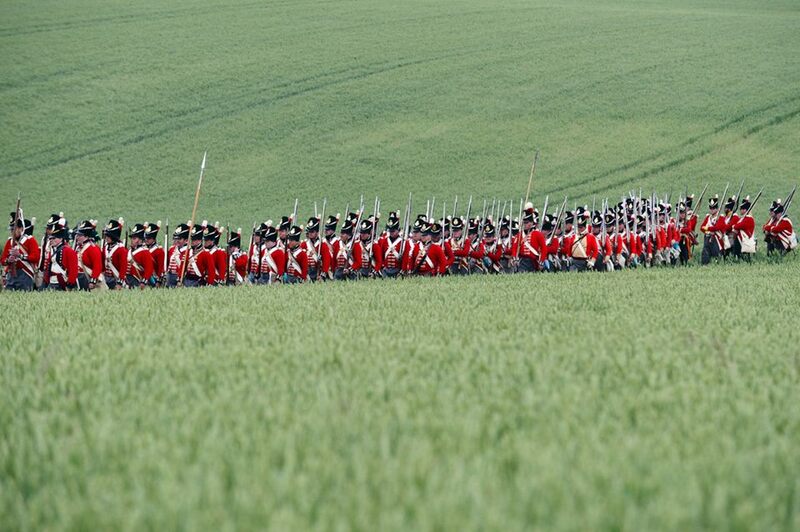 Impossible to ignore todays anniversary - the 200th of Waterloo - of course when I reenacted the Napoleonic wars I was on the French side. Anyway as a tribute here's a pretty song on the subject. Beginning June 3, 1755, a British army under Lieutenant-Colonel Robert Monckton staged out of nearby Fort Lawrence, besieged the small French garrison at Fort Beauséjour with the goal of opening the Isthmus of Chignecto to British control. Control of the isthmus was crucial to the French because it was the only gateway between Quebec and Louisbourg during the winter months. 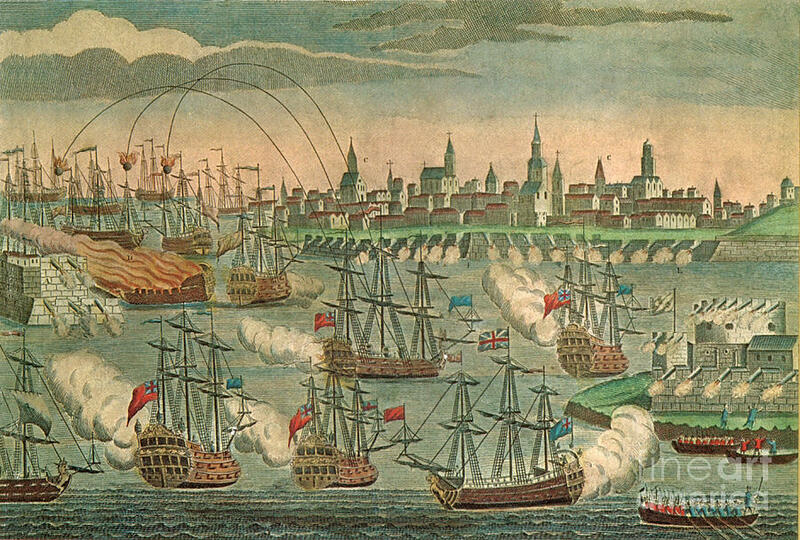 After two weeks of siege, Louis Du Pont Duchambon de Vergor, the fort's commander, capitulated on June 16. 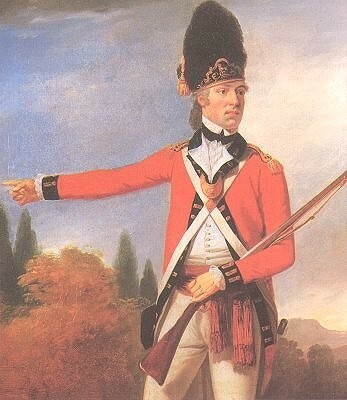 An officer of the 21st Royal North British Fuzileers c. 1775. "The Capture of the 'Alcide' and 'Lys', 8 June 1755," artist unknown, 18th century, National Maritime Museum. 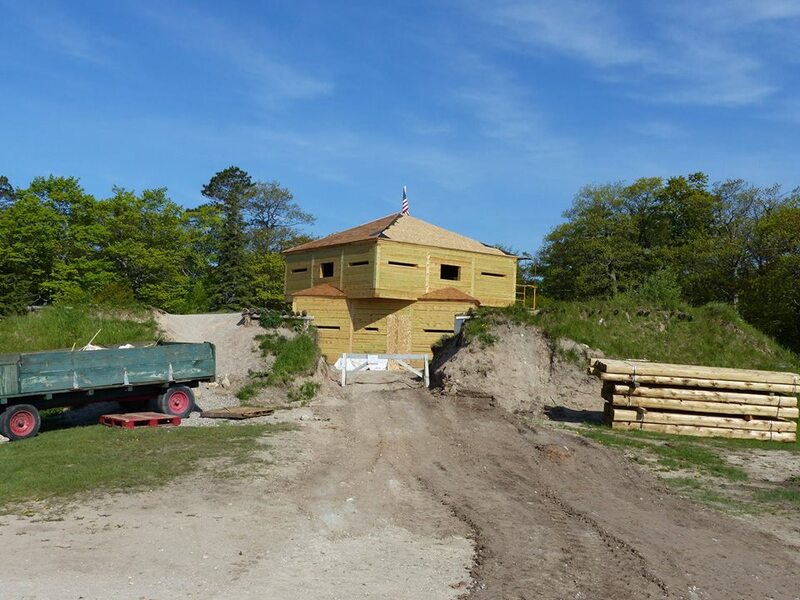 The latest progress on Fort Holmes, 6-3-15. (Clark Bloswick photo). 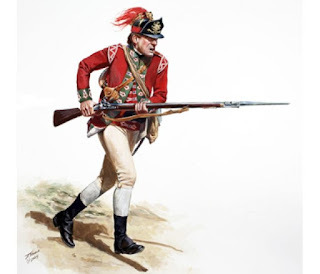 In 1762, the regiment was part of Burton's Corps sent from North America to assist the British force already besieging Havana. It arrived in Cuba on June 27 and took part in the siege and capture of Havana suffering heavy losses from sickness during the following months. 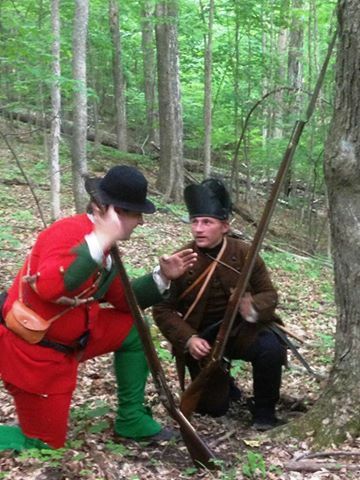 After the capitulation of Havana, the remaining rangers were drafted into the depleted British regiments. 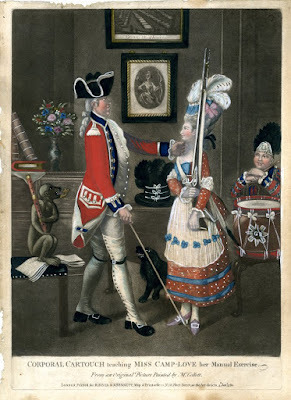 A depiction of an episode from the last major operation of the Seven Years War, 1756-63. 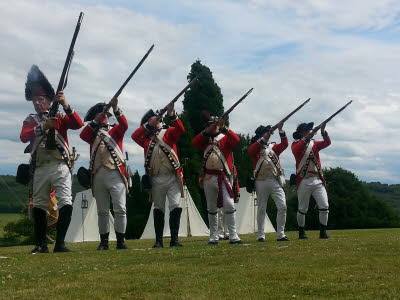 It was part of England's offensive against Spain when she entered the war in support of France late in 1761. 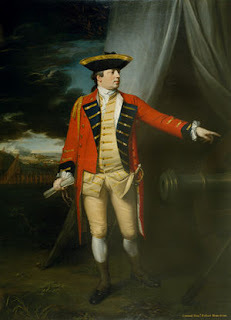 The British Government's response was immediately to plan large offensive amphibious operations against Spanish overseas possessions, particularly Havana, the capital of the western dominions and Manila, the capital of the eastern. 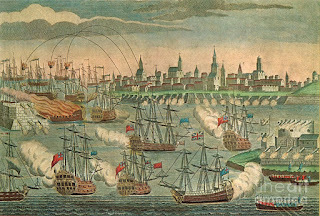 Havana needed large forces for its capture and early in 1762 ships and troops were dispatched under Admiral Sir George Pocock and General the Earl of Albemarle. 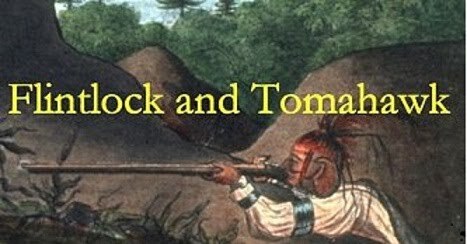 The force which descended on Cuba consisted of 22 ships of the line, four 50-gun ships, three 40-gunners, a dozen frigates and a dozen sloops and bomb vessels. In addition there were troopships, storeships, and hospital ships. 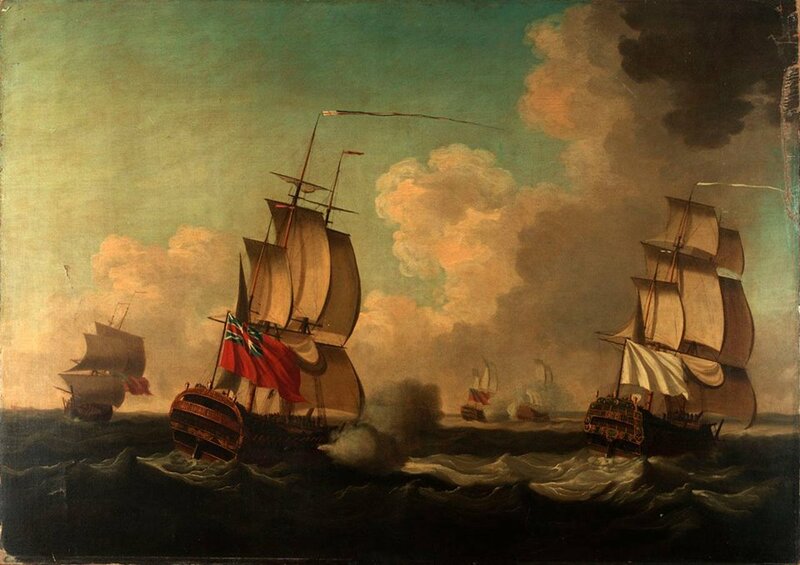 Pocock took this great fleet of about 180 sail through the dangerous Old Bahama Strait, from Jamaica, to take Havana by surprise. 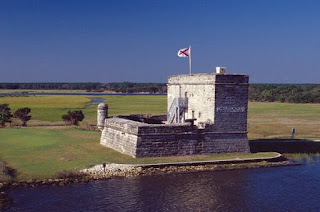 Havana, on Cuba's north coast, was guarded by the elevated Morro Castle which commanded both the entrance to its fine harbour, immediately to the west, and the town on the west side of the bay. The castle was built on rock, with massive rock-cut ditches defending it to landward. It was, however, overlooked by the high ground of the Cabana ridge (Los Cavannos) to the south-east. Despite Spanish defence of the ridge, the British managed to take it and set up a battery there from which to bombard the castle at a distance. 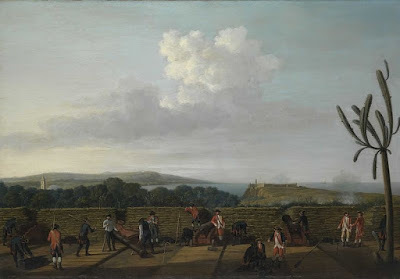 This painting shows the inside of the battery, made from a timber platform with a parapet of fascines. 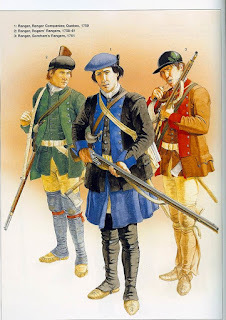 The gunners wear blue coats. 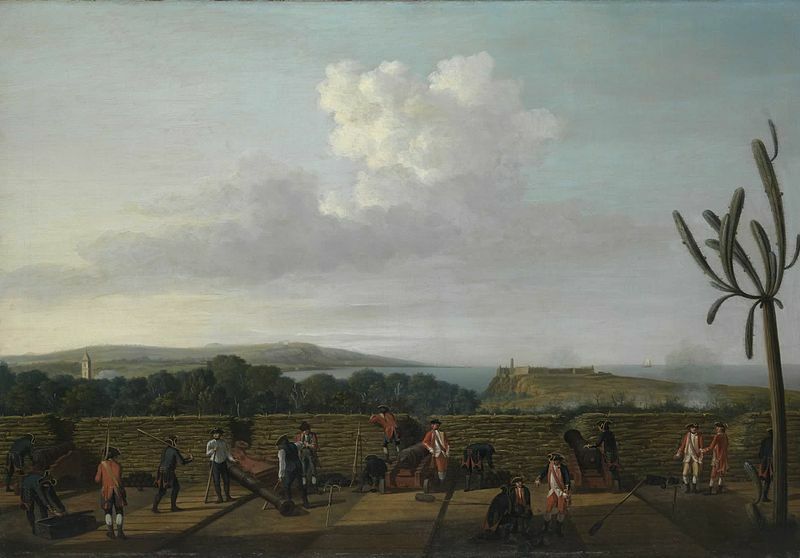 The Morro Castle can be seen in the distance on the right, with the bell-tower of Havana cathedral on the left. The main harbour lies below, hidden by the trees in the centre.